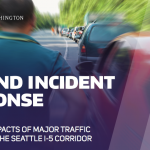 Sponsored by the Washington State Department of Transportation (WSDOT) and the Seattle Department of Transportation (SDOT), CoSSaR researchers undertook a study of how the region could improve response to major incidents. 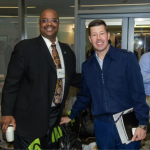 CoSSaR hosted the NMIO-Sponsored 2016 Global Maritime Forum at the UW-Seattle campus. 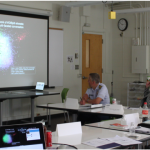 This event engaged individuals from academia, industry and government to collaborate on current issues faced by the Global Maritime Community of Interest (GMCOI). This document is the forum program for the 2016 Global Maritime Forum. The program includes information about the featured speakers, the presentation topics, and other related information. This report of the second year of the Maritime Operational Information Sharing Analysis project (MOISA 2) provides new information, analysis, development activity, strategic approaches, and demonstrations that build on the promise of MOISA 1 to help foster regional partnerships and innovation for regional security, safety, and resilience. This Information Security Guide identifies specific topics of information associated with projects under CoSSaR that meet the standards and criteria for special handling and protection in accordance with Executive Order 13556, “Controlled Unclassified Information” (CUI). CoSSaRs MOISA Year Two project reviewed a set of emerging Federal data standards as listed under the Project Interoperability website, developed by the Program Manager of the Information Sharing Environment (PM-ISE) for potential use in improving identification and information management to enhance mission goals. 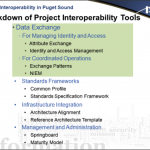 This white paper explores the PM-ISEs ten main information sharing tools. 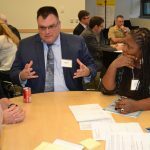 Prepared for FEMA’s 2015 Annual Mitigation Summit, this white paper explores CoSSaR involvement in the regional resilience and security realm, particularly pertaining to the information sharing environment (ISE). 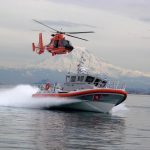 This report summarizes findings from the year one of the Maritime Operations Information Sharing Analysis project (MOISA1), including a descriptive, ethnographic exploration of the complex daily operational information sharing environment (ISE) of the Puget Sound security and safety community (PSSSC).